Lena Park, also known as Park Jung-hyun, (born March 23, 1976 in Los Angeles, California), is an American born Korean R&B singer. Early in her life, Park showed talent for singing, mainly in the choir of her father's church in Downey with her siblings Brian and Uriah. She also learned to play saxophone and piano. As of June 2007, Park has released 8 Korean albums, 2 Korean singles, 3 Japanese albums and 7 Japanese singles. Park is often referred to as the R&B Queen, considered one of the best female singers in Korea. Park won several singing contests in the United States before recording a Gospel album in 1993. She continued her studies while doing many performances. She attended UCLA for a year before she began a career as a singer beginning with her first Korean album, Piece, in 1998. Park's first album sold more than 500,000 copies despite her not being comfortable enough to do promotions on talk shows. She did not learn to speak Korean very well until she released her first album. In 1999, A Second Helping was released. It also was well received by both fans and the critics. Park's third album, "Naturally", was mixed in both South Korea and the USA. After a year break from singing because of her studies in the USA, she came back in 2002 with her album called Op.4. More comfortable with the media, she became much more accessible for talk shows and performances. In 2002, her song "Kkum-e" (In a Dream) was a big success and enabled her to enter foreign markets, such as Singapore. The Korean government selected Park to represent Korea in the opening and closing ceremony of the 2002 FIFA World Cup. At the end of 2002, a "best of" album was released and she played a series of concerts. Live recordings from these concerts were made into her first special live album in CDs and DVD. Park, along with Brown Eyes, CHEMISTRY and Sowelu formed the special unit conveniently called "Voices of Korea/Japan" and made the title song for the 2002 FIFA World Cup Official Album - Songs of Korea/Japan. She later debuted in the Japanese music industry where she received moderate success. She is especially proud of her fifth Korean album, On & On, because she felt that she is finally comfortable and confident in singing and composing in Korean. It took her about one year to make the album and during the time she became very involved with the production and creative work behind the album; she helped with a lot of the song arrangements, played the piano for some of the tracks and composed four of the songs in the album. In 2007, she performed the opening theme, Inori~You Raise Me Up~ (You Raise Me Up), of the Japanese anime TV series, Romeo x Juliet, which is a Japanese cover of Rolf Lovland and Brendan Graham's song, You Raise Me Up. The single also includes a cover of the English version. 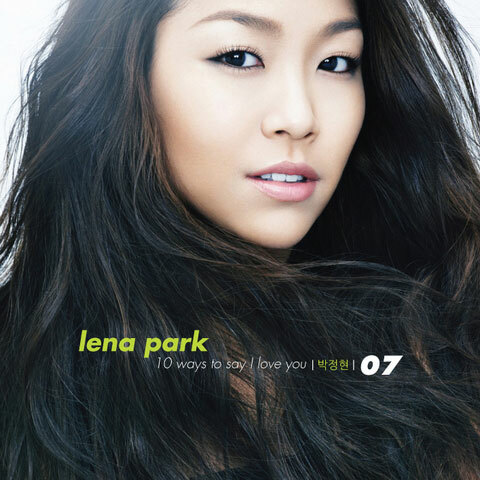 Her 6th Korean album, Come To Where I Am, was released on December 11, 2007, in which all songs were written and produced by Lena herself. * [2006.03.29] "Against All Odds"
* [2004.11.25] "FALL IN LOVE"
* [2006.02.22] "Subete no Mono ni Anata wo Omou"
* [2006.10.04] "Ai no Jealousy"
* [2007.06.20] "Inori~You Raise Me Up~"